Get ready for the pranks and hoaxes cause April Fool’s Day is just around the corner. Love it or hate it, this 500-year-old tradition will carry on. In recent times we have brands bringing pranks to social media. Curious to see how far these brands take their pranks? We analyzed April Fool’s Day posts by brands on Twitter, Facebook, and Instagram over the last four years. We used Unmetric Discover and Unmetric Analyze for this analysis. The number of April Fool’s Day posts by brands on Facebook have dwindled over the past three years. 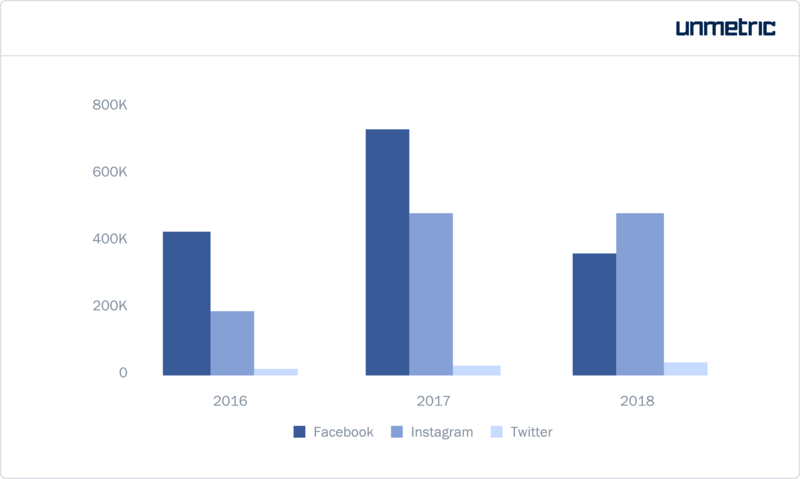 Instagram and Twitter saw a small spike in the number of posts in 2017 only to drop again in 2018. Despite the brands publishing the lowest number of April Fool’s Day posts on Twitter in 2018, these posts received the highest interactions when compared to the previous two years. 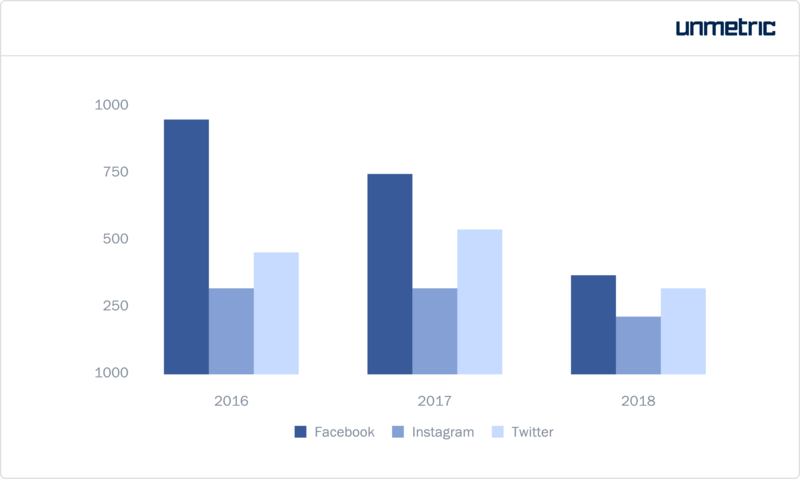 In 2018, the majority of April Fool’s Day interactions were on Instagram. 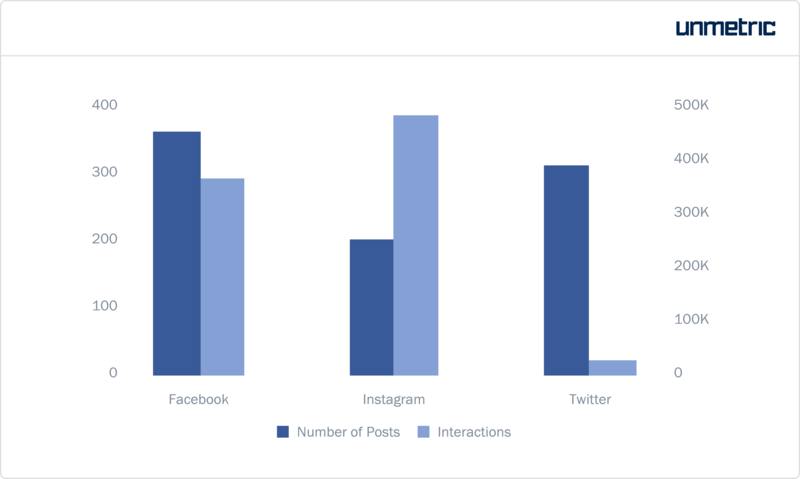 Brands posted more on Twitter, yet content on Instagram received 18x more interactions. 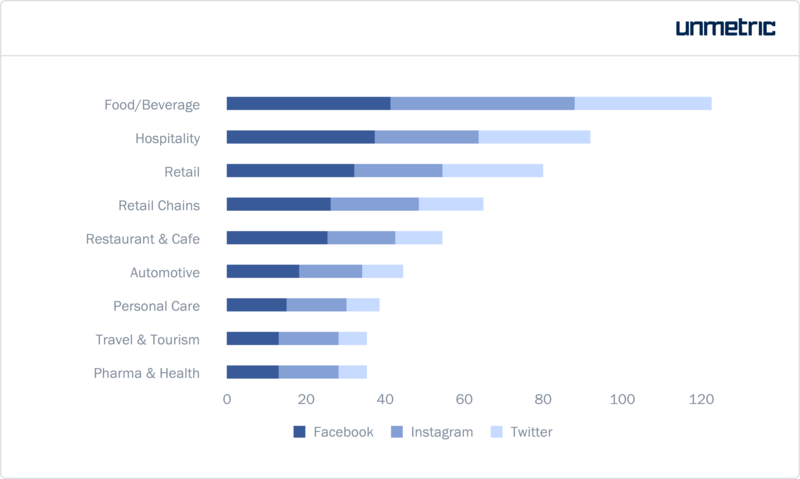 In total, brands published 200 pieces of content on Instagram and 307 on Twitter. The Food and Beverage industry published the most number of April Fool’s Day posts on social. This was closely followed by the Hospitality and the Retail Industry. Nintendo created a poll to get their consumers to pick which character they would want to prank. This was the most engaging post on Twitter in 2018 with 10,117 interactions. Cadbury and Western Union used an age-old trick. Their fans were asked to tag others on their posts. This increased the number of comments the posts received. People who weren’t following the page also viewed the post which increased the reach. Guggenheim Museum and Twix used puzzles to interact with their audience. Their fans had to guess the correct answer. Through this prank, Google not only got higher engagement but got more people to use Google Assistant and the Google Maps App. Chingles Gum held a contest for their fans to participate in. It’s common practice for brands to come up with fake products and publicize them on April Fool’s Day. Starbucks introduced their fans to their new group of stores called Pupbucks. Pubucks would be exclusively for dogs. They even got a fake employee of Pupbucks to speak of her experience working there. Duolingo, the free language learning app promoted a new feature in its product. The brand claimed that from here on instead of push notifications, the Duo the Owl would appear in front of them. The Duo the Owl would remind them to take their lessons no matter where they are. The popular beer brand teased its fans with an instant beer powder. Ola cabs went on social media to prank their fans with their new mobile restrooms. McDonald’s is no newcomer to the world of April Fool’s pranks. This year they publicized a glow in the dark burger. Zostel, India’s first chain of backpackers’ hostels promoted their underwater hostels on Instagram for April Fool’s Day. The airline brand teased its fans with a logo change. They claimed it would be scannable logo. Reliance Jio on March 31st, 2018 went on Twitter to publicize their new product, Jio Juice which was to launch on April 1st. They even got the product head of Jio Juice to continue the ruse by explaining the product functionality and the technology behind it. On April Fool’s Day, they acknowledged the prank. In 2018 Burger King teased their fans with an actual chocolate whooper burger. Do you wanna go check the calendar? The previous year the brand announced a new product…Whopper Toothpaste. This toothpaste claimed to keep your mouth “Whopper fresh”. One Plus, the popular mobile brand, is known for its fast charging phones. They took to Twitter in 2017 to publicize a fake product – dash charging for humans. In 2018 the brand teased its audience with an upcoming cryptocurrency launch called the PeiCoin. This tradition can help keep your social light-hearted and bring a fun element to it. Things to keep in mind if you decide to run an April Fool’s Day campaign. 1. Keep the post light-hearted to tickle a few funny bones. 2. Understand what might be perceived as offensive. 3. If you’re playing a prank, ensure it is well thought of. For example, some brands teased their audience a few days prior to April Fool’s Day. They followed it up with a post on the 1st of April to show that it was just a prank. Discover to look at April Fool’s Day posts by brands over the past 6 years. For more social media content and campaign ideas on how to leverage major holidays and events like April Fool’s Day, check out Unmetric Discover—the world’s largest branded content catalog that helps you explore over 1 billion pieces of branded content posted by more than 100,000 major brands in the last 5 years. ← How do brands celebrate Holi on social media?